Unwanted stormwater drenched the walls of this room in a Nampa home requiring a controlled demolition. 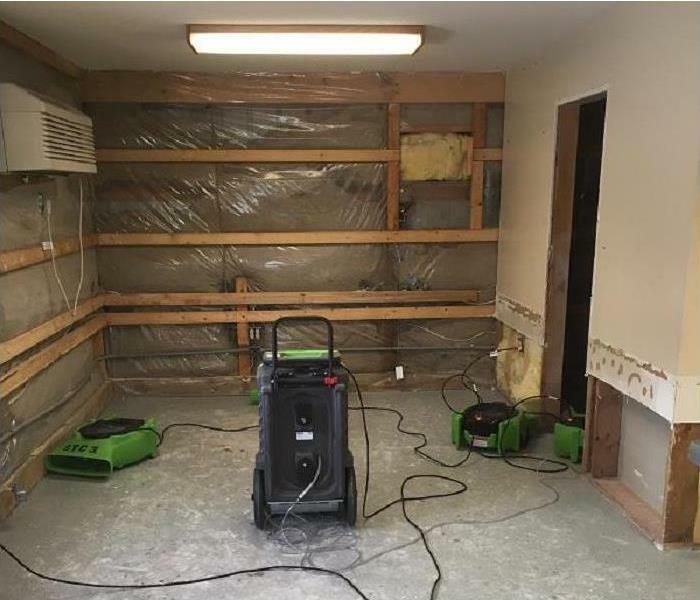 SERVPRO team members placed an LGR dehumidifier and several air movers to dispatch the remaining moisture in the lumber, sheetrock, and air (water vapor.) Ready for a rebuild, real fast thanks to SERVPRO. If your home in Nampa suffers damage from a fire, our crew is here to help. SERVPRO of Nampa / Caldwell is locally owned and operated, ready 24/7, and Faster to Any Size Disaster. Our fire damage specialists are certified by the IICRC in fire restoration, carpet and upholstery cleaning, and other cleaning and restoration courses. We have the expertise, training, and advanced equipment to restore your home to pre-damage condition. 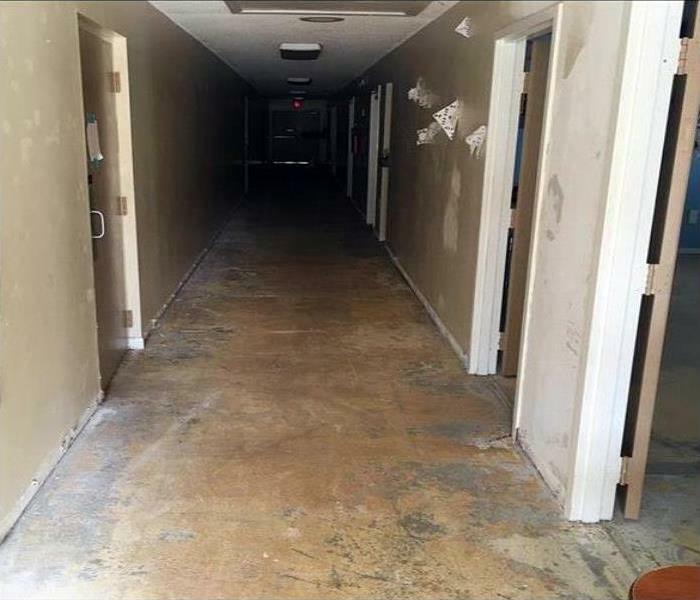 After a water damage emergency in your Caldwell commercial property, you need to call the team at SERVPRO. Our water damage specialists are standing by to answer your call 24/7. SERVPRO of Nampa / Caldwell has the training, experience, and equipment to restore your property to pre-damage condition. We’re Faster to Any Size Disaster! SERVPRO of Nampa / Caldwell brands itself that We're Faster To Any Size Disaster. 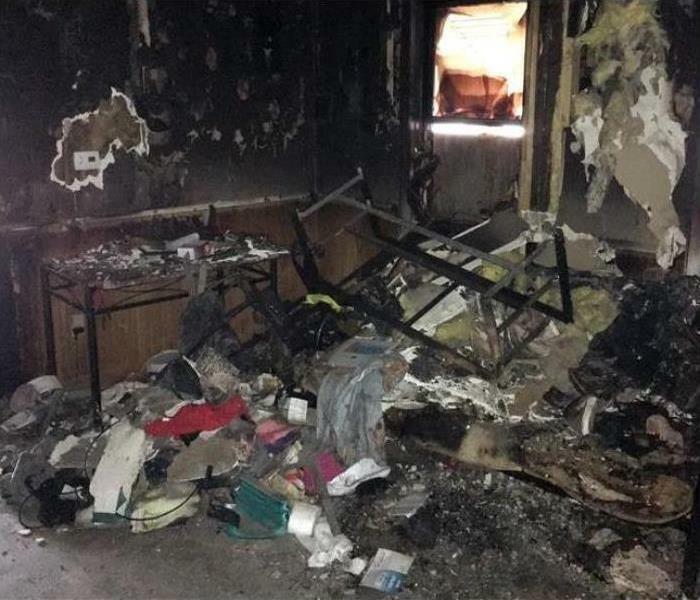 With the foul smells and charred building materials shown in this Nampa area home, speed is crucial to mitigating the damage and making the restoration process simpler and less expensive. You know who to call!! 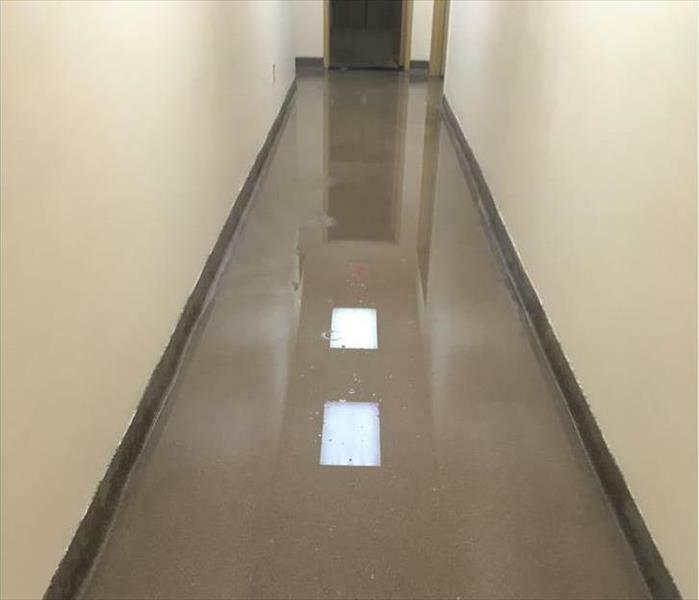 The flood cuts made in this Nampa area community center minimized the extent of the repair needed along with the actual water damage. 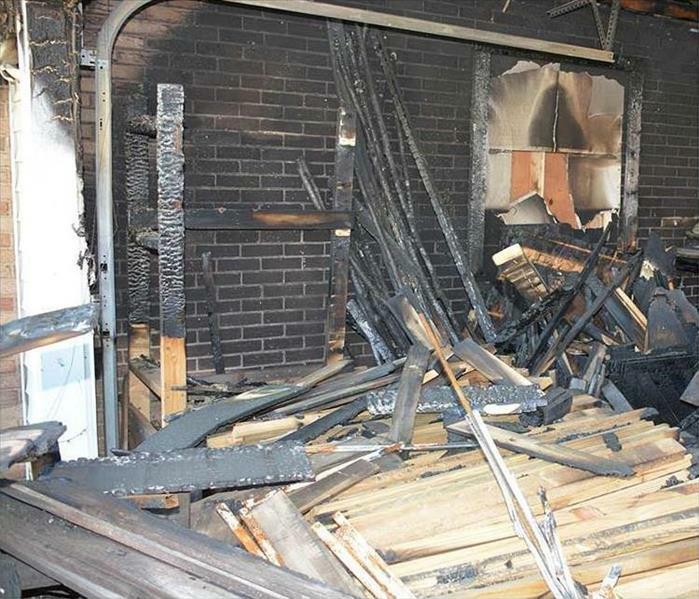 SERVPRO can professionally remove non-salvageable building materials, dry out out the area and ready it for a rebuild. Let SERVPRO do you right! Our specialists know how quickly mold can grow and spread throughout your home. Our team is ready 24/7 to respond to your mold damage emergency. SERVPRO of Nampa / Caldwell has the mold damage experience, equipment, and training to restore your home to pre-damage condition. The water break in this Nampa commercial building, with rapid water removal, can limit the damage. 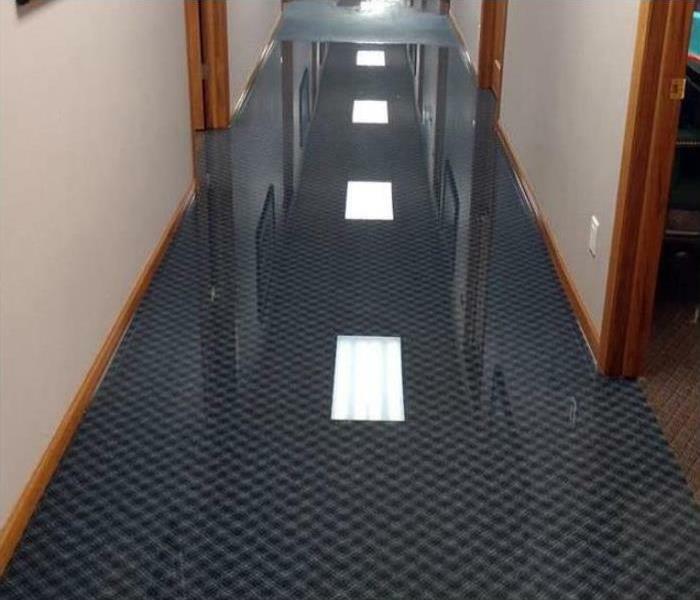 SERVPRO claims We're Faster To Any Size Disaster and backs it up with a swift arrival to extract the standing water and dry out the corridor. 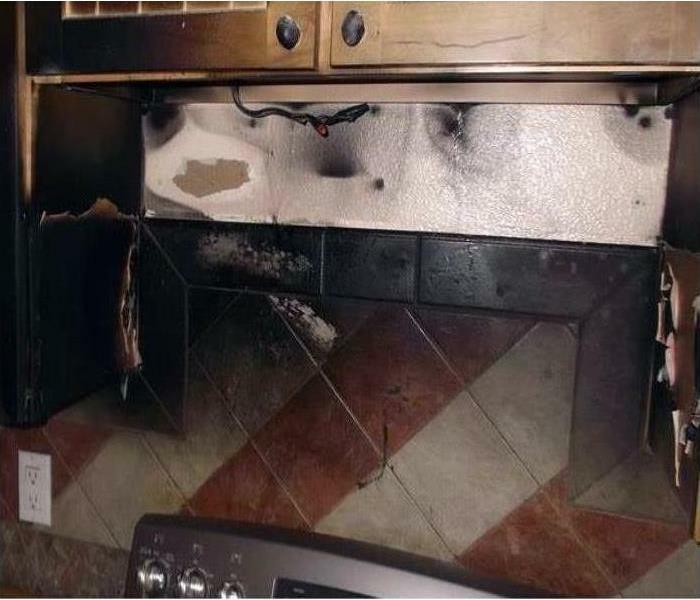 Here is a good example of how smoke can settle on surfaces and cause potential damage to Nampa homes. 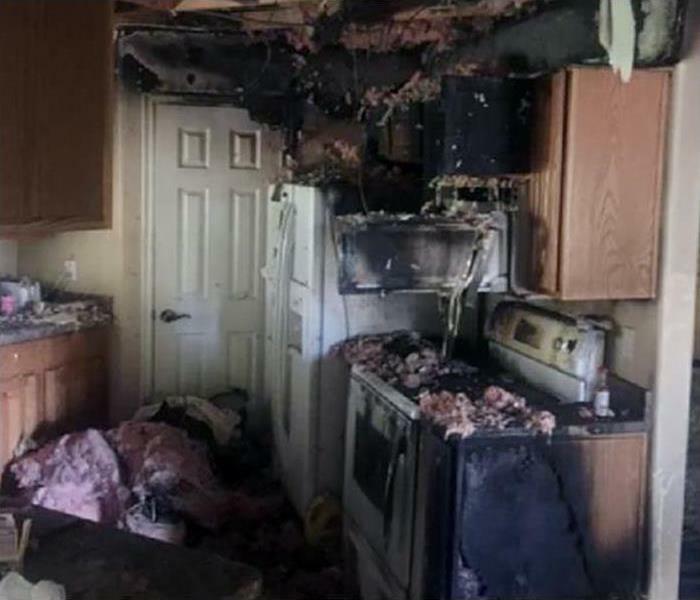 The small fire from the hair dryer was put out after burning some lotions and towels, and the SERVPRO technicians vacuumed up the soot, cleaned the area rugs, and sprayed an aromatic product to provide a once-again fresh scent to this bathroom; something which is always a challenge. 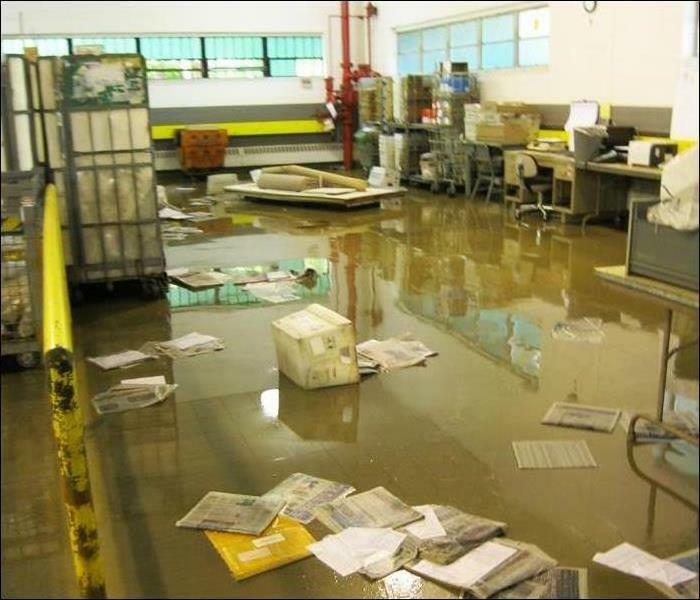 Storm Damage to this Nampa manufacturing facility created a lot of water damage. The water cleanup would require heavy duty water extraction and a large volume of drying equipment. SERVPRO of Nampa / Caldwell keeps a large variety and quantity of water damage restoration on hand. 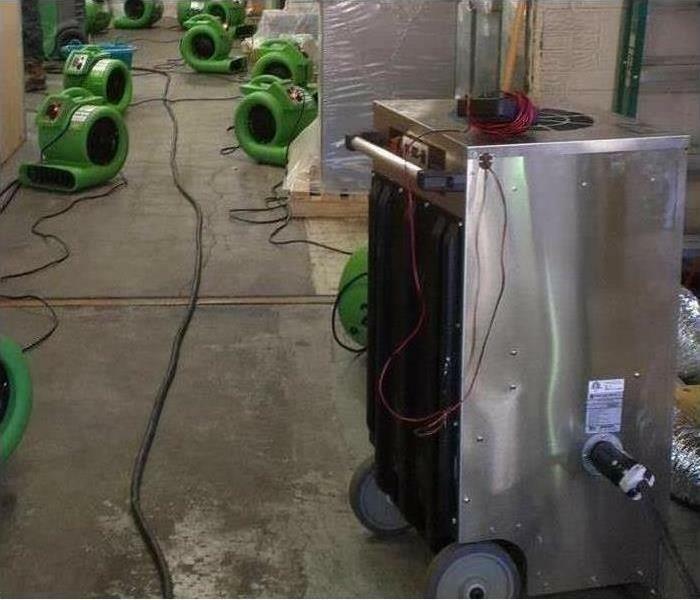 Pictured are commercial air movers and dehumidifiers used for large jobs such as this one. When the humidity builds up in a Nampa bathroom, and the problem is ignored for a period, the result is what is shown in this photo. 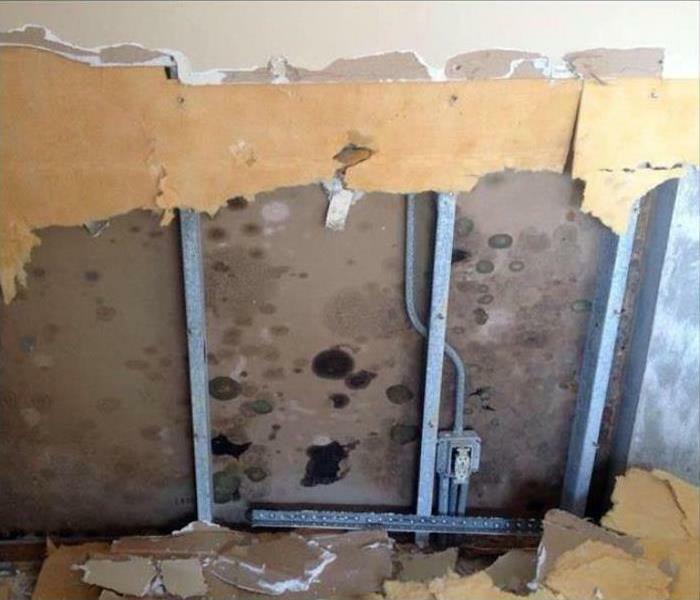 SERVPRO technicians can remove just the lower portion of the mold-infested drywall, spray the interior with an antifungal agent, and clean up and prepare the bathroom for a rebuild. We recommend a working exhaust fan in the ceiling to remove excess moisture. This room in a Nampa duplex was covered with some water from a water line break. The clean water can be vacuumed up rapidly to mitigate further water damage. The baseboards have been removed by our SERVPRO technicians to help dry out the wall cavities that had wicked some water. Fast service means less damage and costs. The severe storm damaged the roof allowing rainwater to drench the attic crawl space and continue down onto the floor of this commercial building in Nampa. 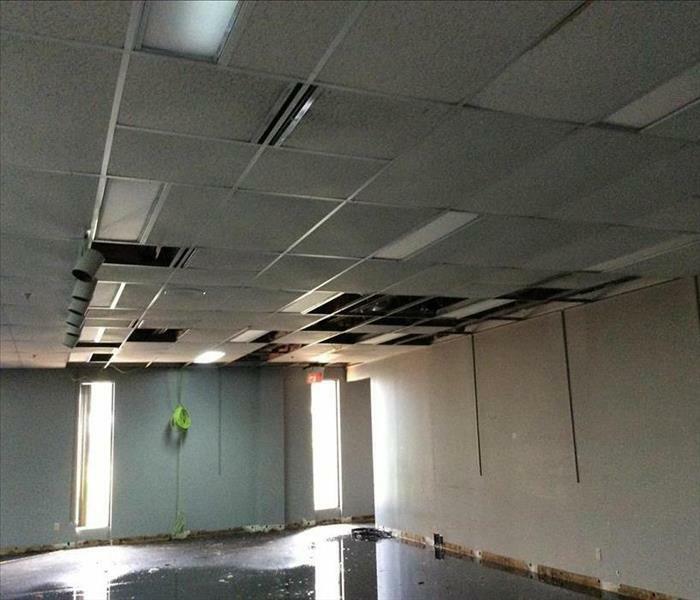 The ceiling tiles can be discarded, the water removed with pumps and wet vacs, the space dried with dehumidifiers, and then disinfected. Just give SERVPRO a call for a swift response and cleanup. Fire damage to this Nampa house was extensive. 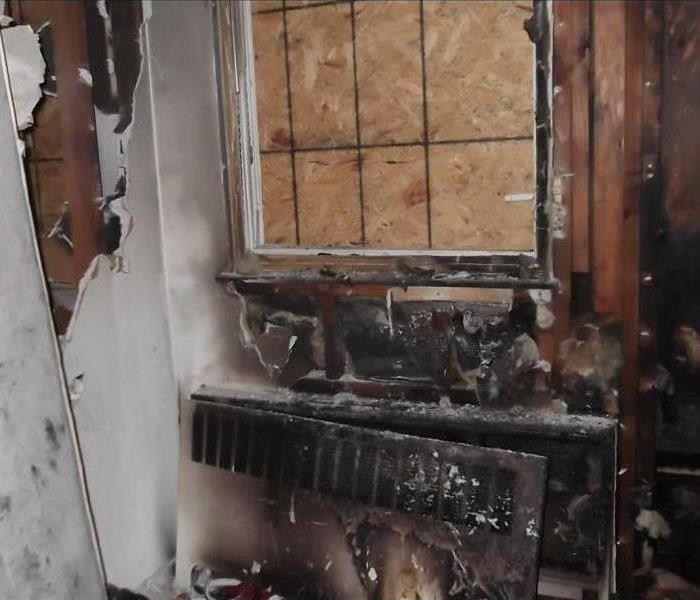 Many windows were broken out requiring board up services as a first step in a complicated fire damage restoration project. The photo shows one window that has been boarded up. Demolition services, pack out, clean up, and content cleaning would all be required. SERVPRO of Nampa / Caldwell could provide all of these services. Whenever temperature and moisture are not controlled, opportunistic dormant mold spores can ruin carpeting and walls as shown in this Nampa property. 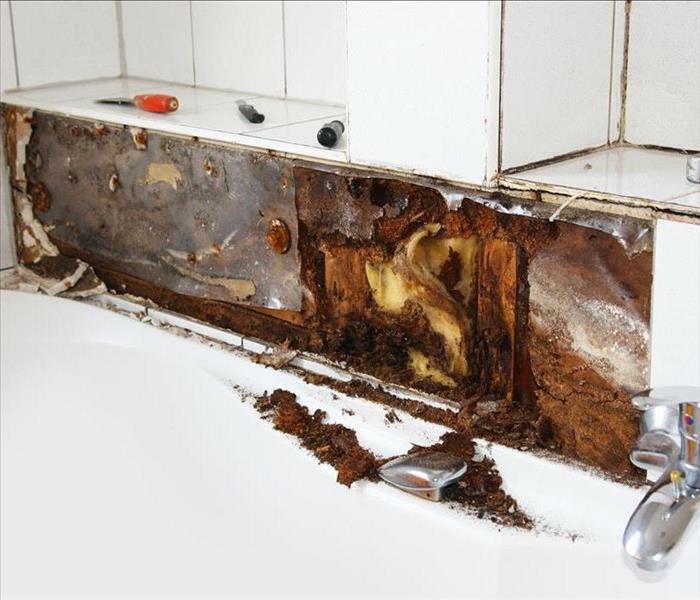 SERVPRO AMRT applied microbial remediation technicians possess the skills and equipment to remedy this situation safely. 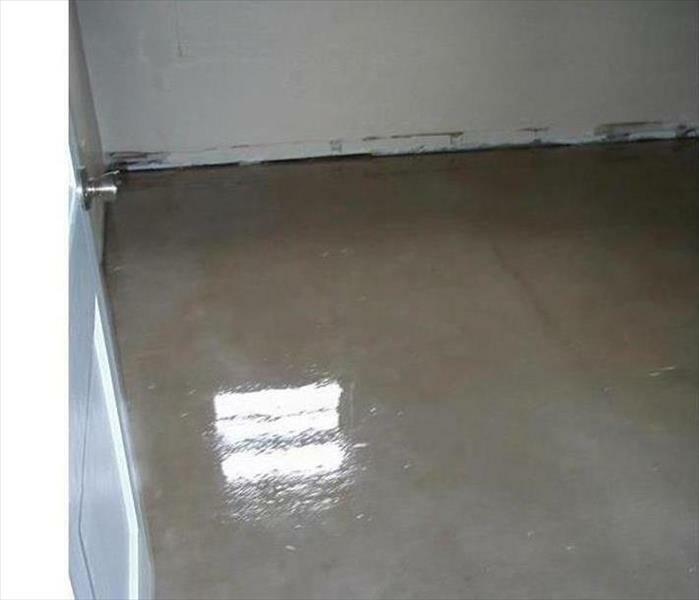 A room in a Nampa home, when soaked with water, needs fast removal of both the liquid and the airborne moisture. 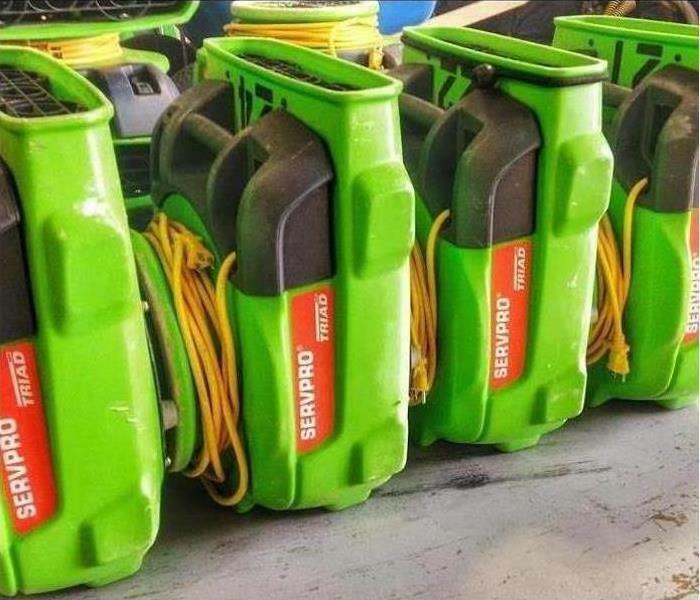 Air movers and dehumidifiers, when placed according to standard practices, can achieve these ends rapidly, just ask the technicians from SERVPRO. Storm damage in Nampa can take on staggering proportions requiring the most up-to-date equipment. Also, the need for a large quantity of equipment is often necessary to clean up the storm and water damage associated with sizable storms. 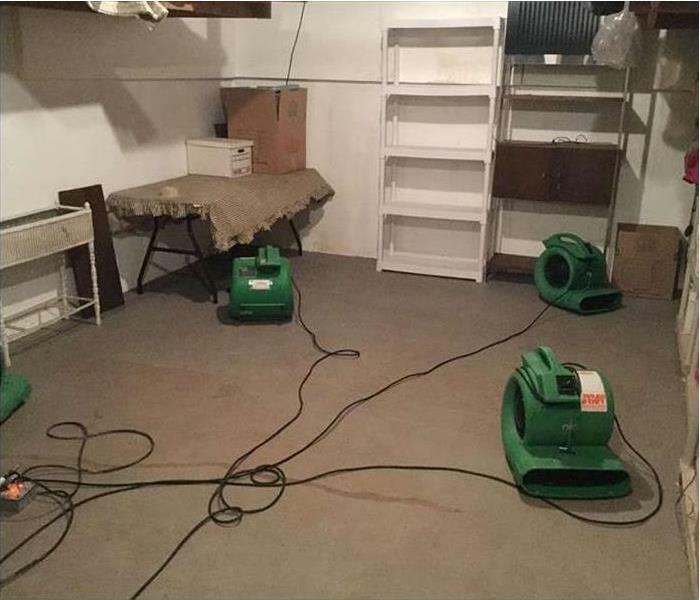 When confronted with a lot of water damage commercial air movers like those pictured are used to help with the drying process. The leak wetted a portion of this commercial-grade glued down carpet in a Nampa office. Fast action is needed to dry this out since the moisture removal can only be done from the top surface. 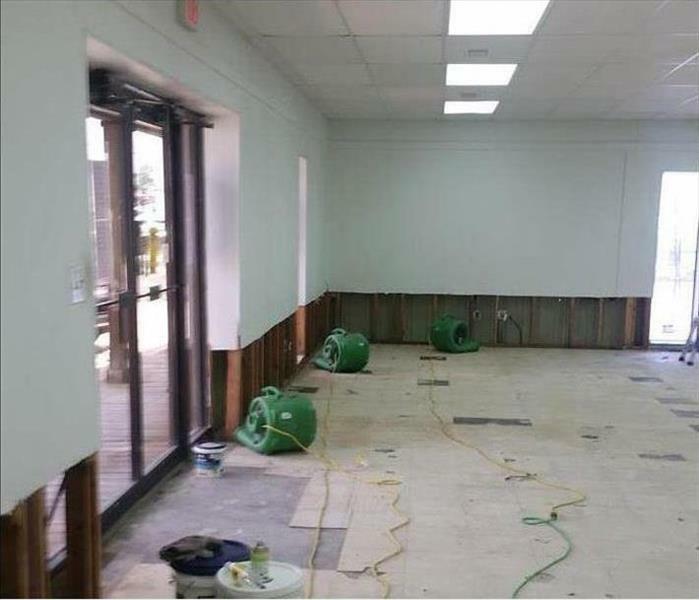 SERVPRO is Faster To Any Size Disaster, and is the logical choice to mitigate water damage and keep the office running. 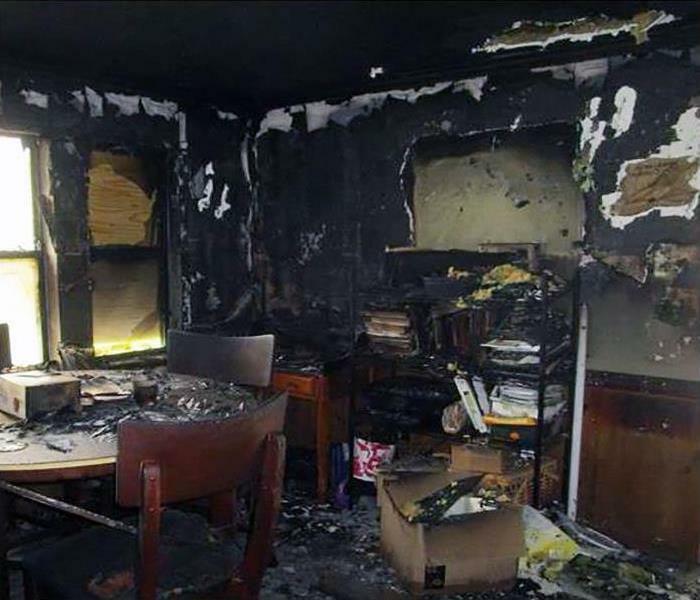 When a fire strikes, you need a professional restoration company that is available 24/7 like SERVPRO. Our team of fire restoration specialists will arrive quickly which will prevent secondary damage and lower the cost. 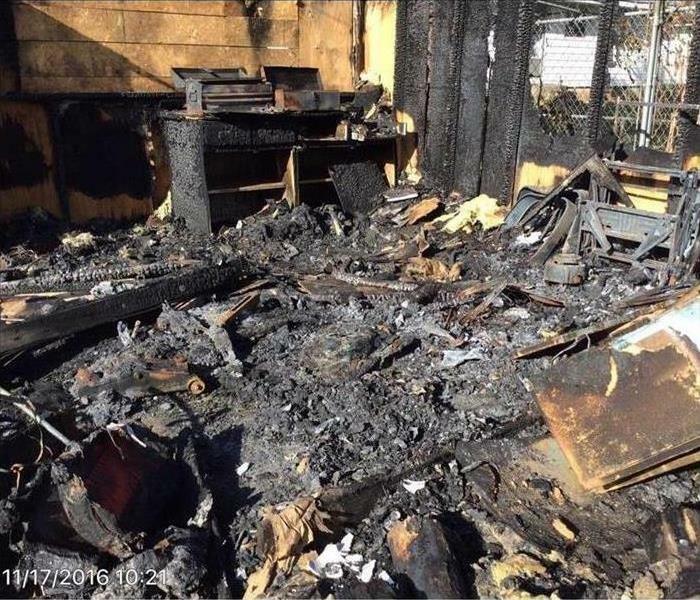 SERVPRO of Nampa / Caldwell has the fire damage experience and equipment to restore your home to pre-damage condition. 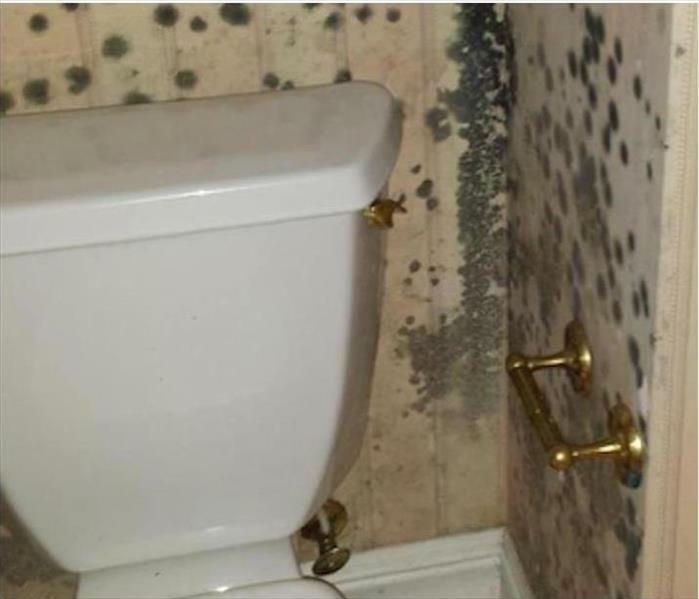 Water seepage inside this bathroom in Caldwell often leads to dry rot and mold damage. 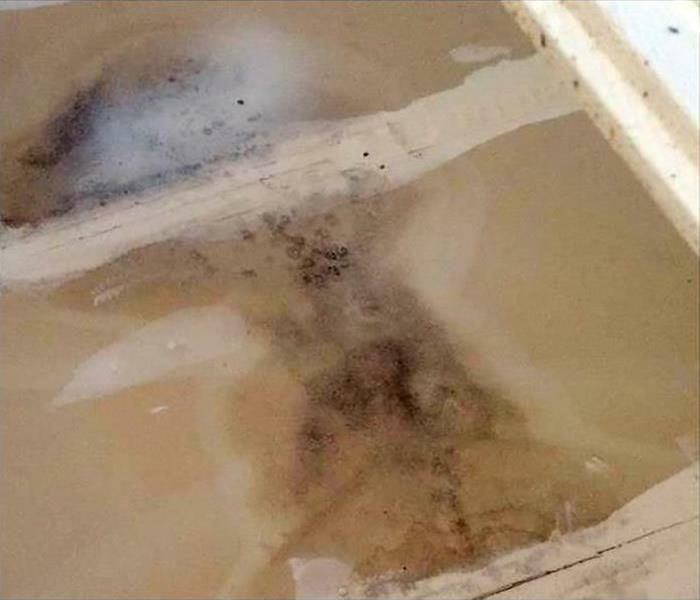 SERVPRO technicians can tear out the damaged materials, spray a microbial product to inhibit future outbreaks of mold, and prepare the bathtub area for a small rebuild. Count on us to make your home safe. The leak from the bathroom in this Nampa home cause a wet carpet that needed fast drying to avert permanent damage. SERVPRO is the company of choice for fast service with positive results. The Green equipment is about to be taken out, fast work once again. The stormwater edged through the entrance door and soaked an area of the carpet in this Nampa home. 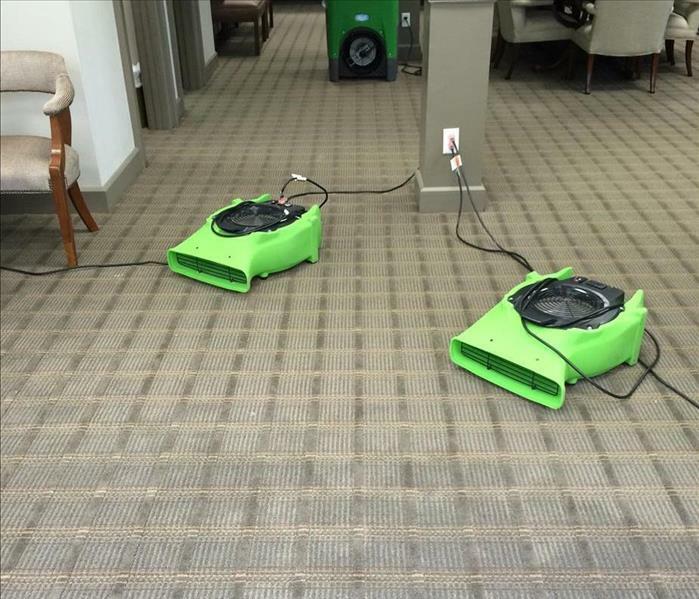 By floating the soft surface, SERVPRO techs can introduce warm circulated air to boost the drying time and save the carpet from delaminating. Little things, done quickly can save our customers lots of money. SERVPRO of Nampa / Caldwell is the only choice when it comes to fire damage repair and restoration. SERVPRO has the best technicians in the industry that are trained in fire damage cleanup and restoration. They have the equipment and training to restore your property to pre-damage condition. We’re Faster to Any Size Disaster! Discovering a mold infestation growing in your home can be a very stressful situation. Good news is you contacted the team at SERVPRO of Nampa / Caldwell for assistance. 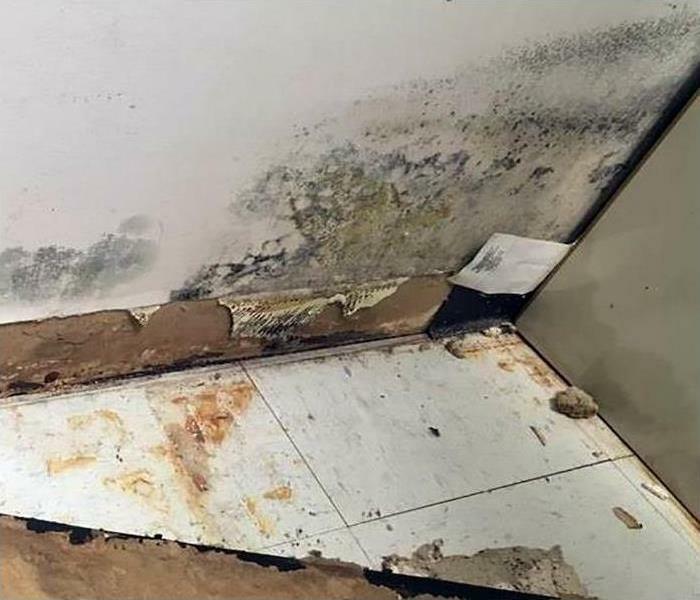 Water and mold damage restoration is the cornerstone of our business, and our technicians are the best in the industry. SERVPRO has the specialized mold remediation equipment, advanced training, and experience to restore your property to pre-damage condition. The damage from the storm is apparent in this Nampa property. 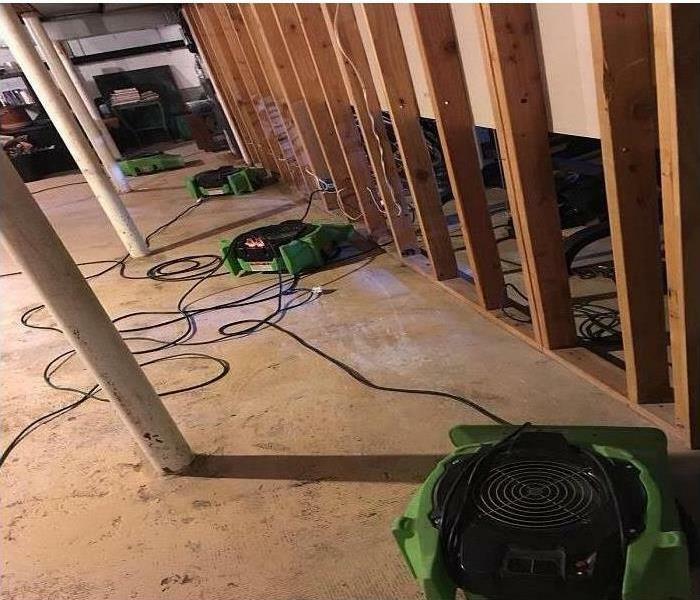 SERVPRO technicians can pump out the water and the place air movers and dehumidifiers to remove the excess moisture, preventing secondary damage. Fast service saves the homeowner lots of money. Commercial water damage struck this Nampa conference center when a storm with high winds tore parts of the roof from the building. Rainwater was thus allowed to freely enter the inside of the facility and accumulate on the drop ceiling. 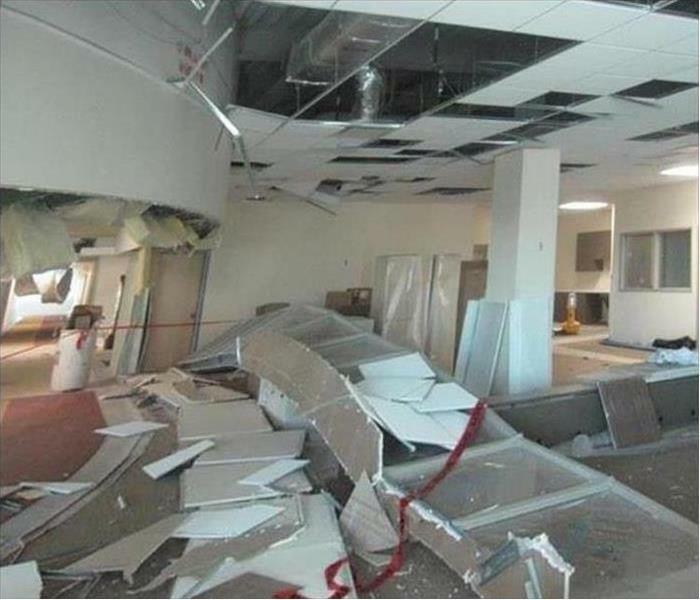 As the photo show,s the weight of the water eventually collapsed the ceiling tiles to the floor. A space heater lit some clothing on fire in this Caldwell home. 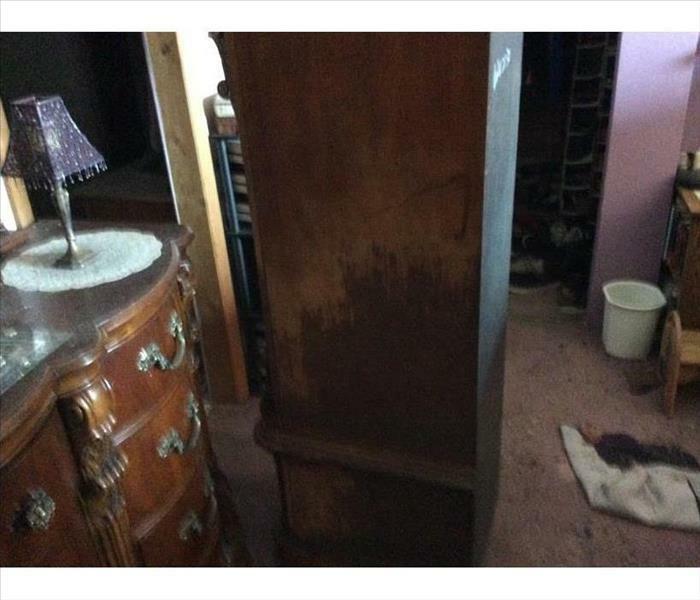 The damage to the side of the armoire could be cleaned. SERVPRO technicians can also vacuum up the ashes and treat the air with a hydroxyl generator to neutralize the noxious odors from the fire. 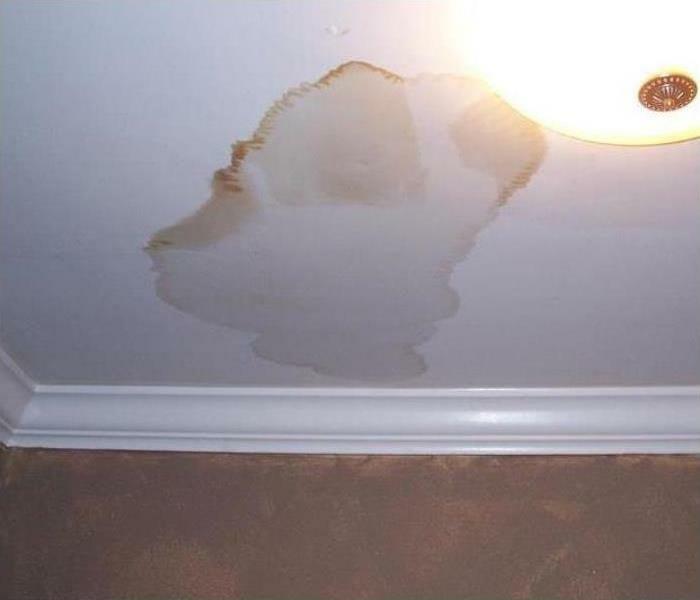 Sometimes moisture from a water leak can cause as much damage as the liquid itself. The door barrier prevents excess moisture from this Caldwell garage to enter the house. Indoor air quality IAQ is affected by relative humidity RH. 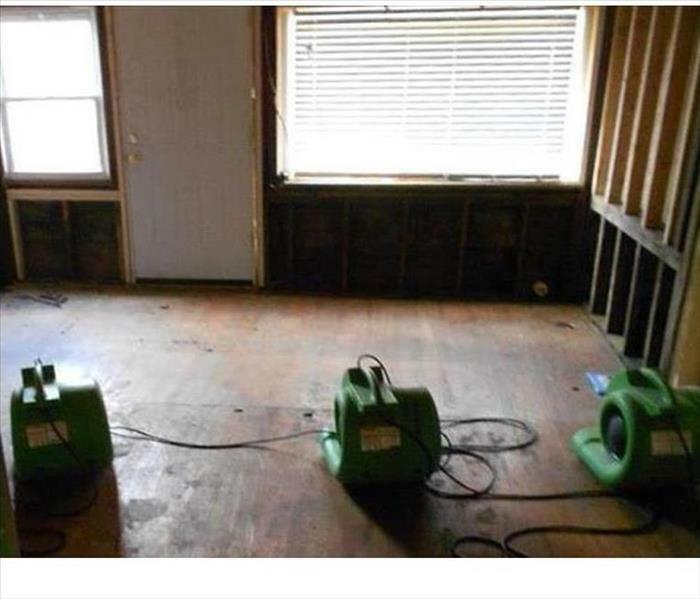 Call SERVPRO to assist with water removal and dampness control. The moisture accumulated in this Nampa bathroom leading to a large fungal explosion. 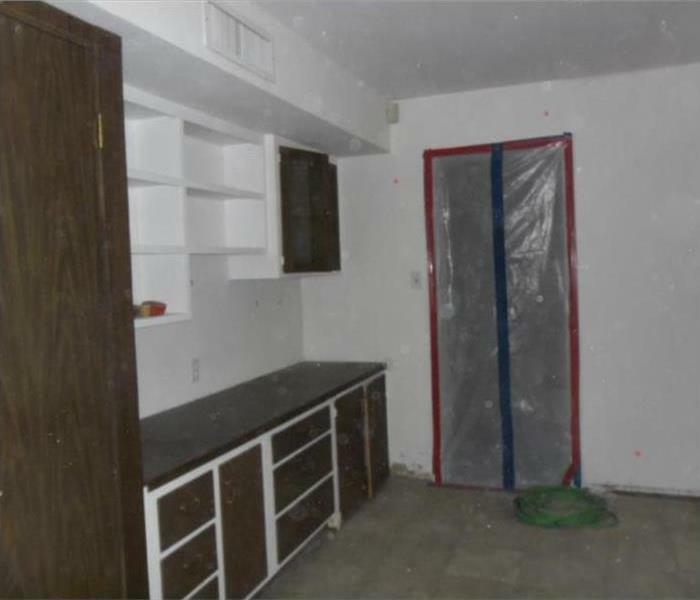 The wall paper was removed, and the drywall was salvaged after scraping away the colonies and spraying an antifungal agent. We recommended to the customer to install an exhaust to channel out excess moisture. The intruding flood waters at this Caldwell property soaked the drywall beyond restoring. SERVPRO techs demoed the water damaged panels and set up equipment to dry out the studs and the concrete flooring. The cement base will be monitored until the standard moisture content is attained. The mailroom of this Nampa office building was covered in an inch of water from a broken pipe. The cleanup and water extraction were done simultaneously. Dehumidifiers removed excess water vapor. This helped to prevent rusting or other unwanted damage to the office desks and equipment. Count on SERVPRO to keep your business going. 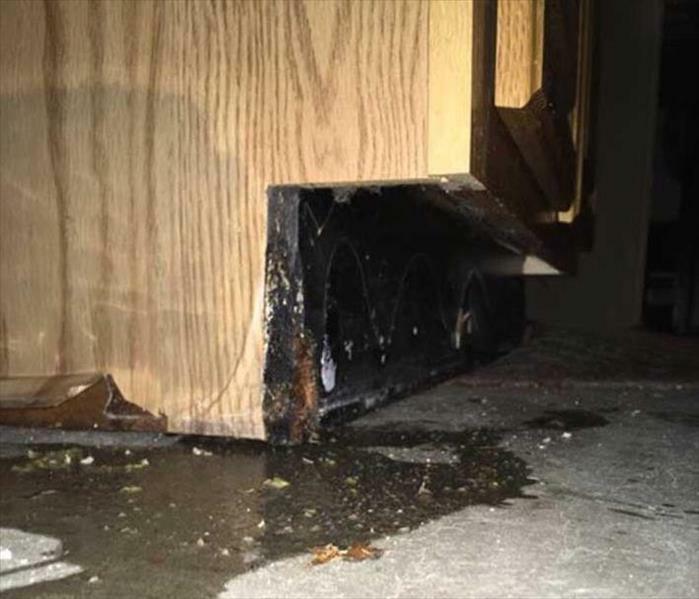 The water leaked from the dishwasher and caused damaged to the laminated side of the base cabinet at this Nampa home. The homeowner decided for a remodel so we completed the demolition and thoroughly dried out the concrete pad. Count on SERVPRO for professional help. The cleanup of the fire damaged home in Caldwell was the first step in the restoration process. The charred building elements were safely discarded even as hydroxyl generators were chemically altering the malodorous interior air. Count on SERVPRO to follow protocols for a successful conclusion. It occurred in a vacant office during the summer months. The water was from a cracked toilet supply line that had been leaking undetected for a week. Moisture wicked up the walls several feet. 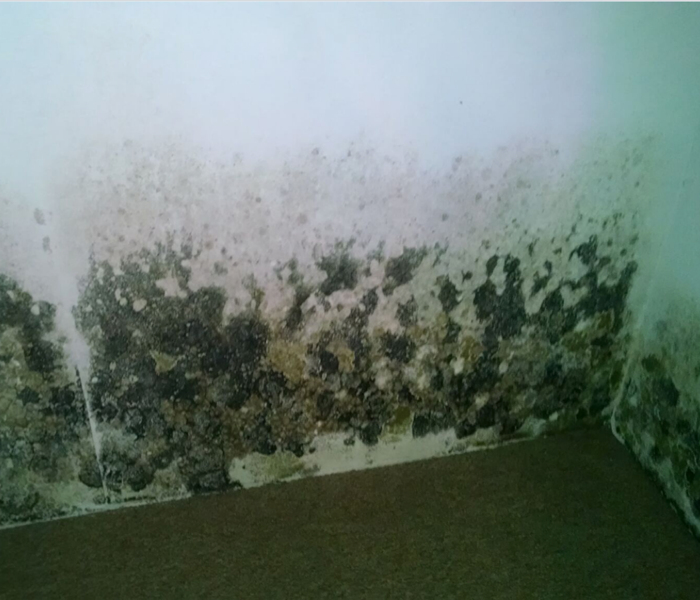 Mold growth such as this can occur in 72 hours, or even less under the right conditions. SERVPRO of Nampa Caldwell has completed many such mold cleaning jobs in Parma.